It’s almost National Public Lands Day (coming up on 9/30/17) and that means… all national parks and monuments are FREE of charge! This was our trip last year and while we did have to gas up and eat, a big chunk of our fun was free of charge. We had so much fun getting outside and exploring last year, and there’s no doubt we’ll be doing it again this year. I love this photo. 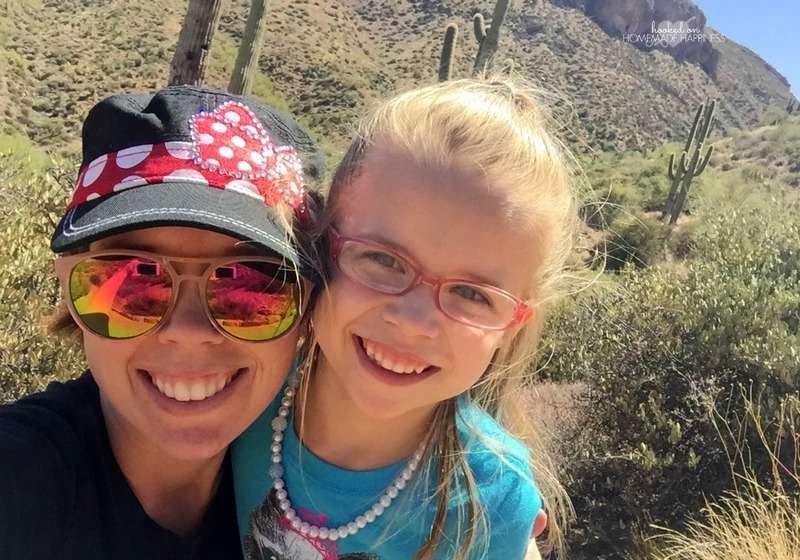 I think it really captures the spirit of our day out exploring Southern Arizona. We live in Southern Arizona. Last year we visited a couple different places. 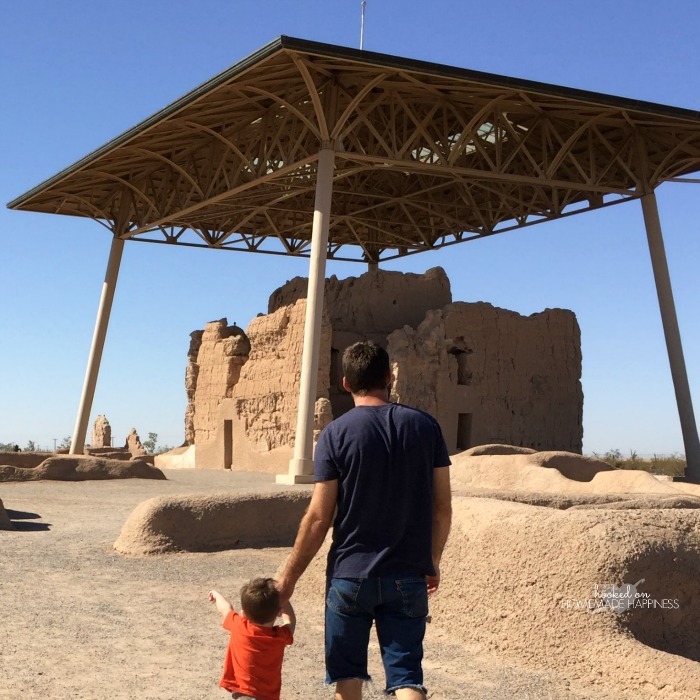 Our first stop was the Casa Grande Ruins and explored the Casa Grande that has stood for 650 years! 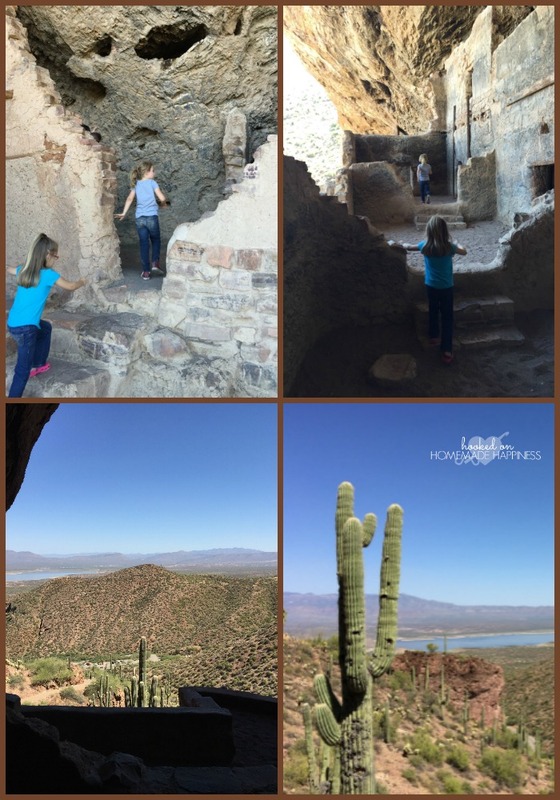 Our second stop was the Tonto National Forest where we explored the cliff dwellings there. There’s a nice welcome center and then there’s quite the hike to see the dwellings! It wasn’t far, but it was a bit steep. 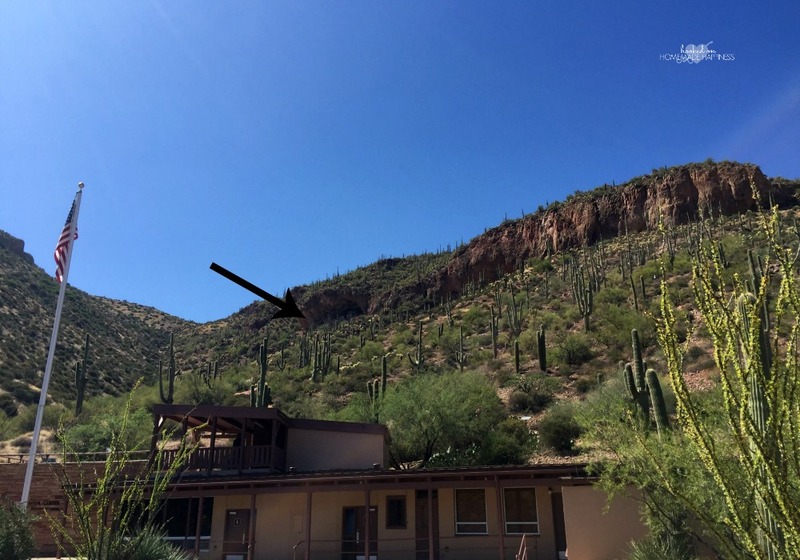 You can see where the cliff dwellings are in comparison to the welcome center in the photo below where the arrow is. 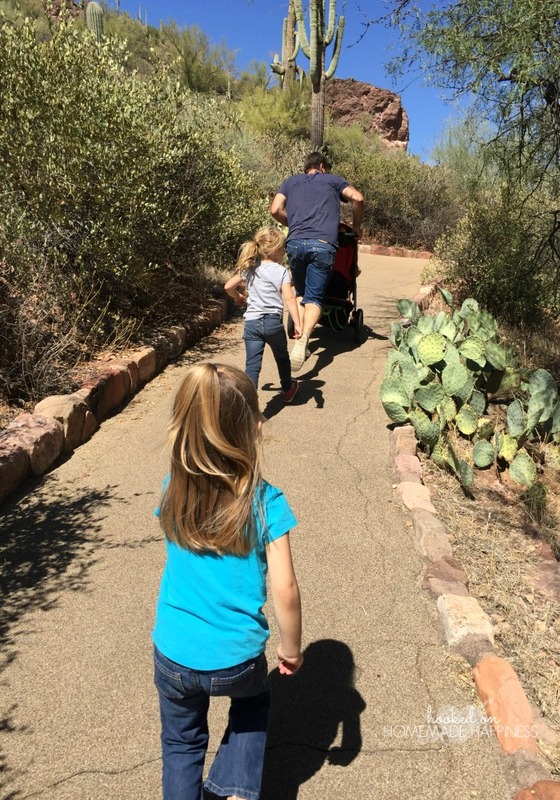 It was steep for us, especially for 2 little ones walking and one in a stroller. But seeing the amazing dwellings and the beautiful view from the top was worth a short hike up the mountain. Our day out was definitely a success! 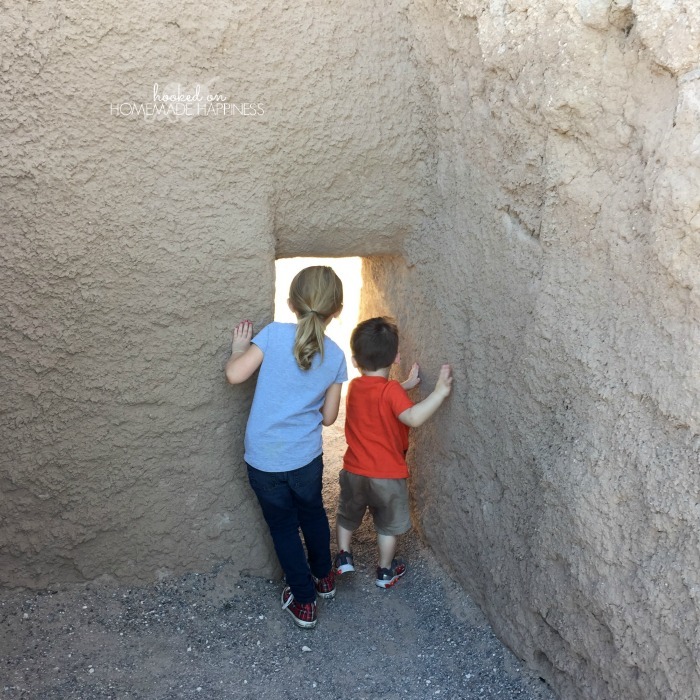 We saw and learned so much about Southern Arizona and the ancient peoples that lived here. Last year, it was a spur of the moment day trip, but this time we’re more prepared and are going in with a plan! 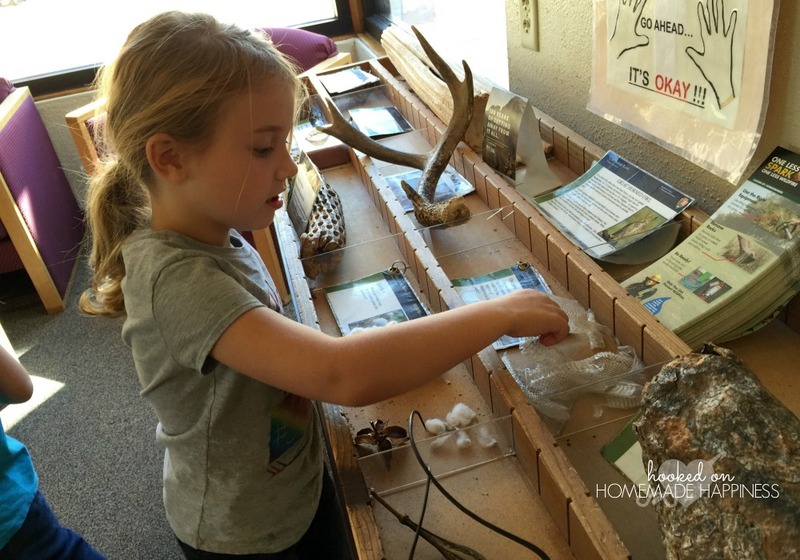 We’re hoping to visit Chiricahua National Monument and Fort Bowie next month. Find a park near you and enjoy National Lands Day this year on 9/30/17! 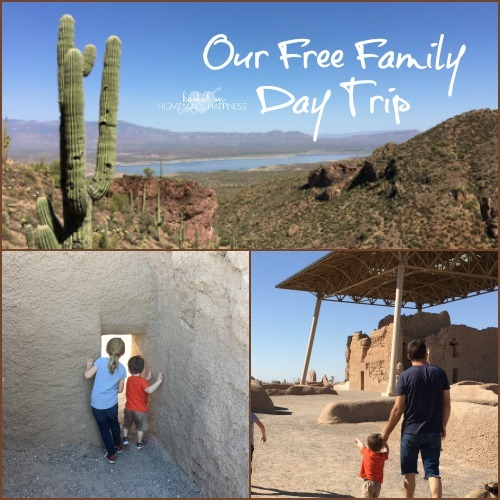 This day isn’t the only day with free entry to National parks and monuments, here’s a list of other days you can take up this offer.